Having lived in the North West a while. I though I’d be more than qualified when it comes to being stuck indoors with kids after a bout of rainy days. And yet I don’t know about you, but even on a good day if the man cub wakes up at 6am by half past seven I’m straight up out of ideas to keep him entertained, I possibly mean contained. Great time wasters include biscuit bribery, bath tub puddle stomping-normally to remove the biscuit you gave them which is now a moist concrete like goop covering and slowly encrusting them from head to toe and my Husbands all time favourite: putting child in his cot while frantically filling it like a ball pit with every toy you can find-this buys you at max 5 minutes of child free time and as a task takes a minimum of 20 minutes to accomplish. On a good day going for a walk (notice how I used italics to emphasis the looseness of this term) is a great way to burn energy, granted mostly yours but all mess is made out of the house and sometimes thats all we can ask. However, if you live in the North West of England as I and 2.8 million others do such sage advice as ‘walk it off’ means fudge all to you as its pretty much standard practice that every day is an indoors day when you live in a city where it rains every day with a ‘Y’ in it. Now I’m only 20 months in to my parenting sentence but a combination of an extreme lack of patience, the weather and a bizarre desire to desperately make this parenting thing at least look like it’s working have resulted in me Googling ‘How To Keep Kids From Climbing The Wall, Whilst Also Remaining Sane’ at great lengths. 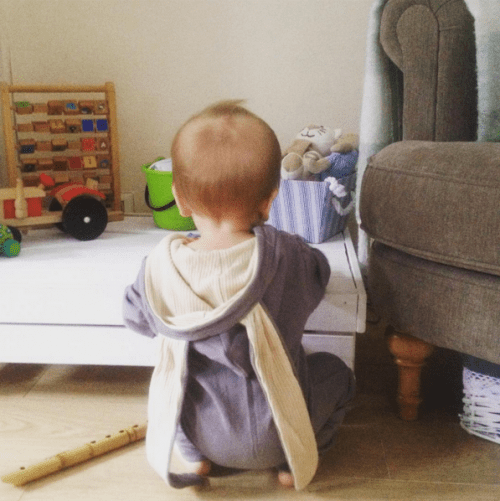 And so my gift to you, today is to share what I’ve found, tried and tested – a top ten of indoor children’s play activities if you will. So I’ve divided my top ten across 3 lists to reference according to where you are on the parental scale at any given time. 1: Kitchen Pool Party-Fill a small paddling pool with either toys, balloons or those packs of small balls (used at the indoor pool pits) and set the kitchen up like its a pool side area, laying out a towel, sunglasses, sun hat and any other pool paraphernalia for each child. Make child friendly cocktails and pretend to be their poolside waiter/bartender serving them snacks. To add to the atmosphere turn on the radio and if you have bubbles, get blowing! 2: Parent & Child Yoga-Search youtube for either ‘parent and baby yoga’ or ‘partner yoga poses’. The following is a great video to try and copy with the kids and at the very least might give you all a giggle to simply just watch. 3: Treasure Hunt-Hide various treats and objects in the room and play the hot and cold game depending on how close or far the kids are from finding each object. You can further extend this game by having them make a treasure map and giving them a list of objects to find and tick off, the winner being the first to complete their list. 3: Who Am I?-Rip up a couple pages of paper into palm size pieces. On each piece write the name of a super hero, favourite cartoon character, famous kids celeb. Places pieces face down in a pile. Without looking each person must take a piece of the named sheets, lick the back of it and stick it on their forehead. Then taking turn must ask Yes or No questions until they can successfully guess who they are. 4: What’s On My Bum?– An elected person (normally you) rests face down on the couch or floor while the kid(s) select items to place on yours/elected person’s bottom, you must then try to guess what the item is by touch of bum alone. Me n the wife just had a good old laugh over this!!!! !